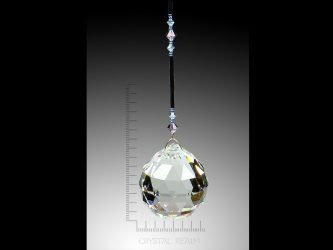 A sparkling crystal kite is lovely in a 2 inch (50mm) length on a 10 inch bead hanger that will complement the crystal colors beautifully. 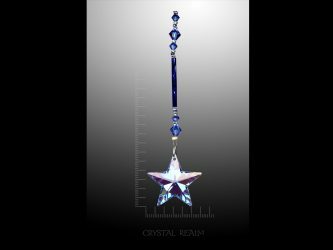 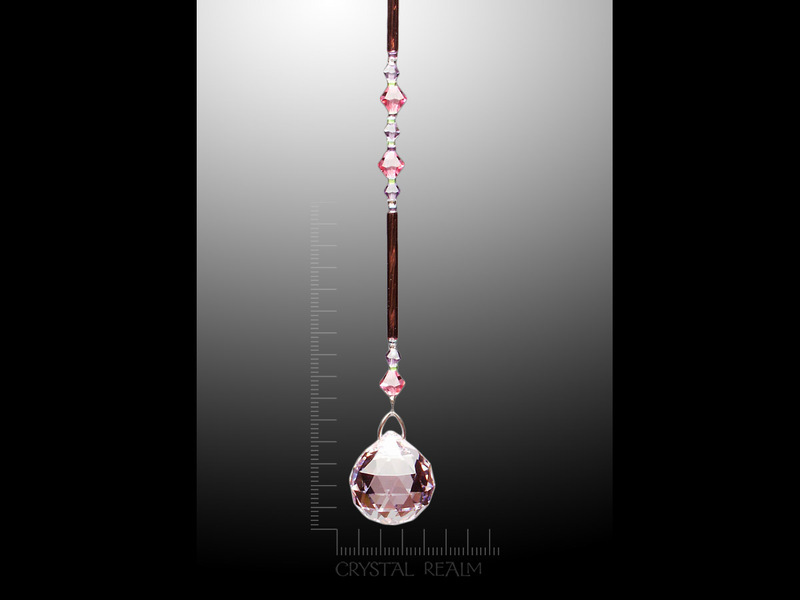 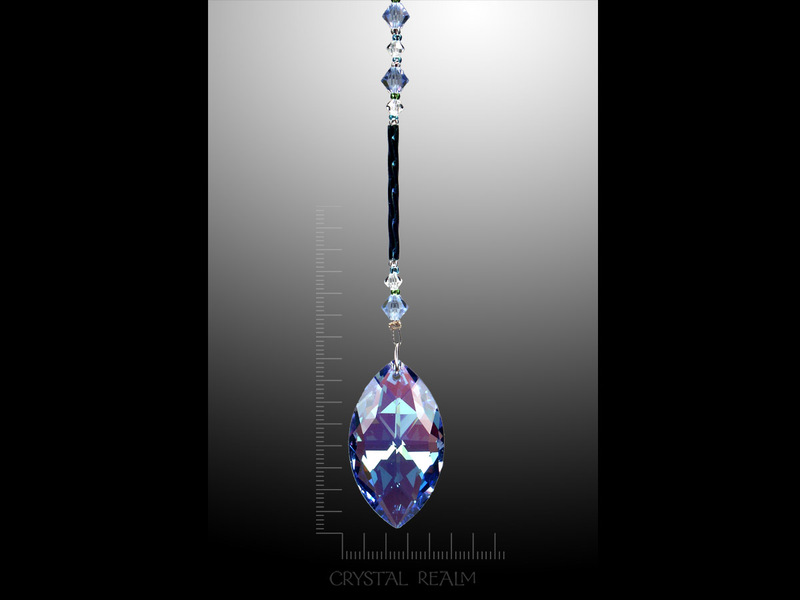 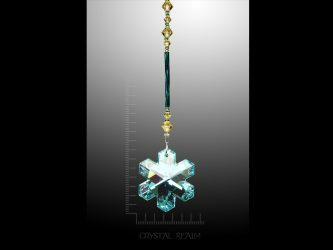 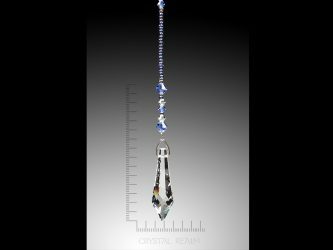 Our exclusive, Crystal Realm bead hangers are made in a variety of beading patterns using Swarovski Austrian crystal beads and either long glass bugle beads or seed beads, shown. 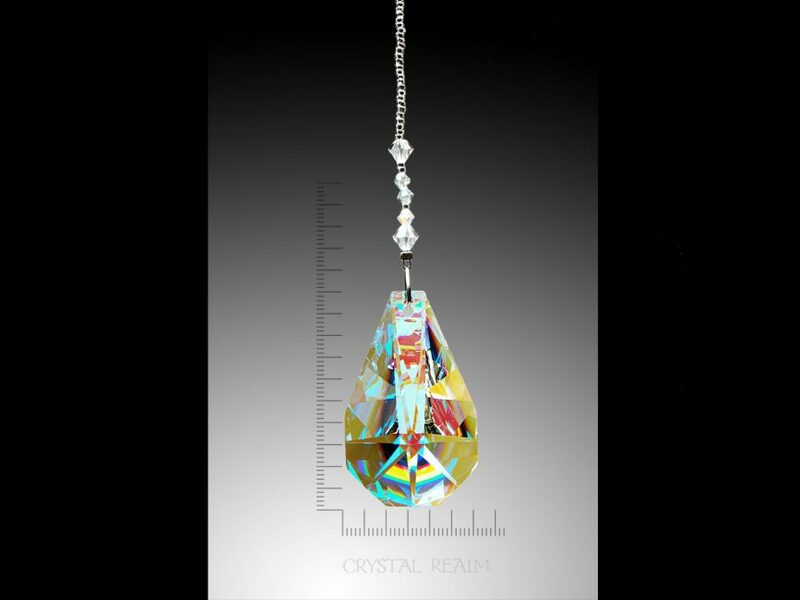 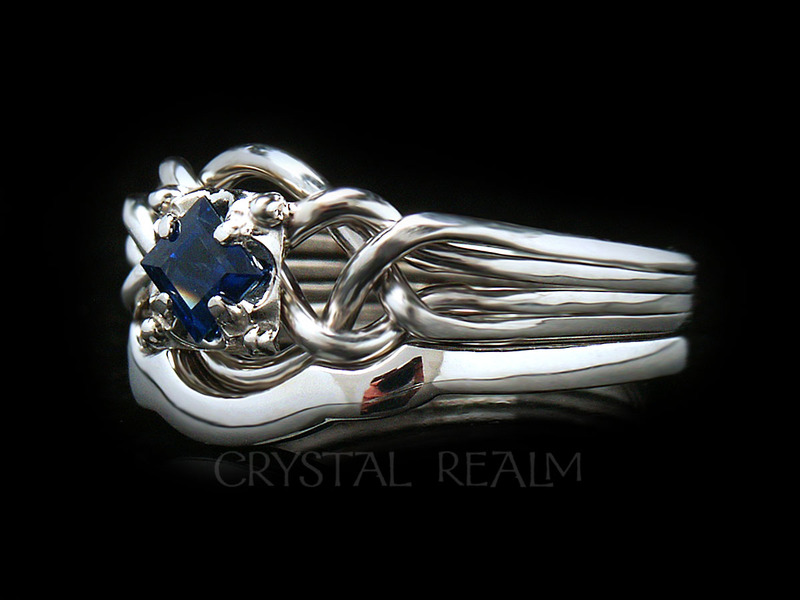 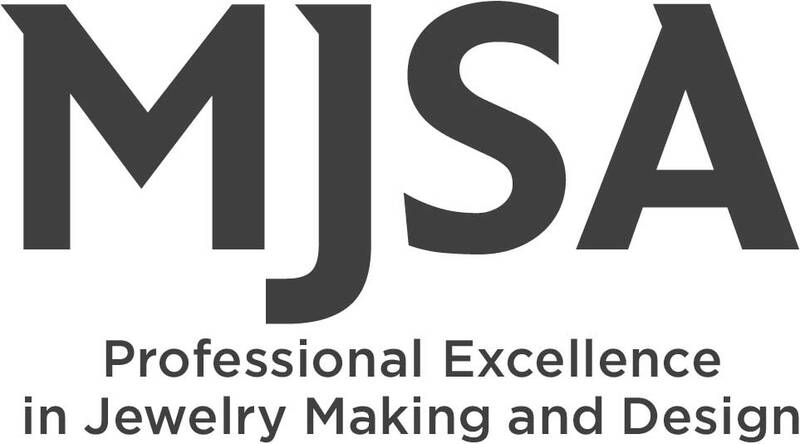 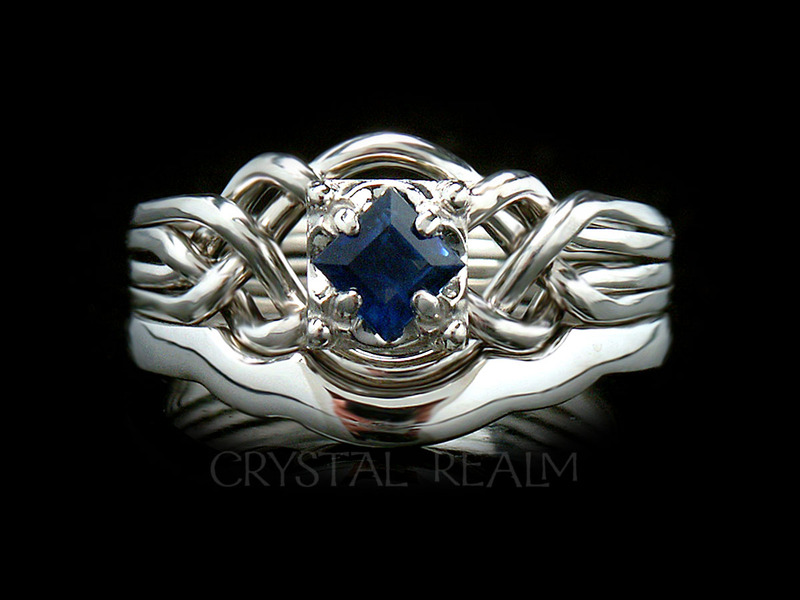 Please choose the main color you want, and we will choose a beaded strand that complements your crystal beautifully.